The research Secret of Elite Analytics Practices – in partnership with IBM states that “about 33% of elite marketers say having the right technologies for data collection and analysis is the most useful tool in understanding customers.” Today, in the e-commerce sector, understanding the customer’s needs and requirements is more important than technology. Huge financial investments are made by various companies to seek knowledge about customers’ activities. Collecting and managing customer data is easier said than done. However, with Sage 100 ERP, businesses are more attuned to the subtle social signals that indicate what customers need and want, which is generally the nub of the problem for e-commerce websites. In the 21 Century, technological intelligence is conducting business life across the globe. When Sage 100 ERP is put to use for customer data attraction, the customer experience intensifies and yield great outcomes for businesses in terms of Return on Investment (ROI). “68% say improving ROI measurability is the most important goal for a data management strategy”, according to Ascend2. The anatomy of customer data acquisition is somewhat in the form of a funnel for businesses, a chain that includes manufacturers, warehouses, suppliers, distributors, logisticians, offline stores, and websites. This master value-chain is linked with customers in various forms – mobile applications, kiosks, websites and much more. Multinational companies will be paralyzed, lose shares in their particular industry, and vanish eventually if this master value-chain is not mentored effectively to meet the customer need at the right time in the right place. A meaningful end-to-end solution can be achieved with the help of Sage 100 ERP and Magento e-commerce. Individually, these solutions will be less effective, as with time, new sales channel will be added to the system which will eventually increase the errors and cost and decrease productivity and revenue. However, to gain efficiency, the integration of these two business intelligence tools is must – aiding companies in analyzing customer requirements, pinpointing the feasible solution to meet these requirements, and finally implementing the solution. A lot of companies find it difficult to scrutinize the real-time performance of their e-commerce channels. For exponential customer experience, efficiency, and profitability, integrating customer information, product information, sales strategies, etc. with Sage 100 integration engine is highly successful. Smart Data Connector and analytics for speedy implementation and upgradation of any customer related data or query. Compile, link, organize and govern customer data from multiple origins in one reliable hub. Fulfill the most demanding sales & customer reporting needs with innate ‘point & click’ data designing and customization. Industry best practice role-based analytics – Adaptable and provide a feasible solution to customers almost immediately on any device. Simplifies Data Management: It comes equipped with fully supported data management dashboards and with the utility of customization of customer information. Lowering The Cost and Risk Elements: Eliminating the need for manual data warehouse management, frequent customer information editing, and sales projects. One Time Investment: From A to Z of business E-commerce, everything available under one roof. Comprehensive Data Integration Solution: Compiling data of an E-commerce website current customers and keeping track of it while adding the new ones. Reliable and Secure: Top-notch security, authentic administration tools, and built-in authority. These features and benefits of Sage 100 ERP create a contrasting differentiation between a successful and unsuccessful business integration model. Sage 100 ERP is intelligent enough to understand how data is related to various aspects of a business and customers. Right from an active customer to sold customer, this dashboard manages data of every customer regardless of the country. With the help of conditional formatting, you can isolate the report by the information you need regarding customers. Machine learning is another concept that plays a part here. 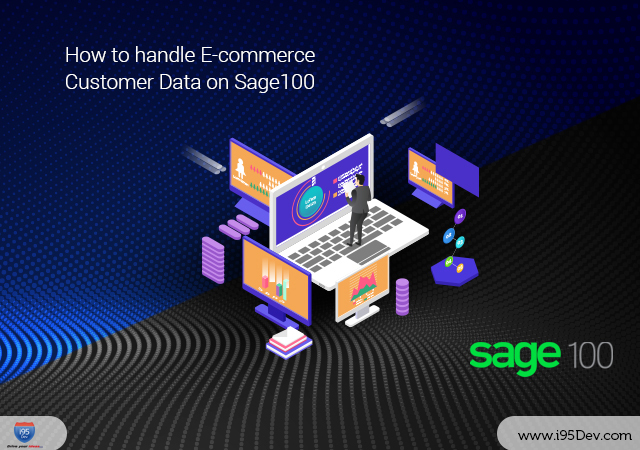 For a better understanding of the customers’ needs, Sage 100 Magento Connector provides support information regarding the customers and their business partners. Once the required information is obtained, it remains in the company database and is automatically updated on both the Sage 100 ERP system and Magento e-commerce platform. Dashboards keep a track record of historical values of inventory (sales and general ledger), currencies, financials, etc. and help in analyzing this data within an organization. Dashboards are based on logical and analytical models that provide us insights regarding behind the model activities. Moreover, it helps in customizing the financial reports – income statement, balance sheet, etc. according to the requirements of the company. Another benefit of Sage 100 ERP dashboard is – it provides insights regarding the profitability of a company and how well the budget is put to use at any given point of time. Information regarding account receivables, inventory, sales, and manufacturing, etc. are available here. Depending upon the number of companies you select to fetch data, the Sage 100 ERP will filter down the information to various warehouses and inventory details. These details are the lifeline of the manufacturing process. These features can be further enhanced by Magento ERP integration. By integrating an e-commerce solution with Sage 100 ERP, a company can evolve with its sales vision in mind. With incredibly specialized customer experience, Sage 100 aids in tracking, communicating and attracting new and prospective customers. Sage 100 Magento integration solution recognizes the importance of delivering effective business-customer relationship & conversation and the leverage of competing with the data management tools in the world today. Get in touch with us today, if you want to put ERP to best use for your E-commerce business.